Everyone knows that Tohoku, the northernmost region of Japan’s main island, is the perfect place to engage in some serious sports in winter and see some unbelievable cherry blossoms in spring. But summer has just as much to love, and you’re about to find out why! The same rugged landscape that makes Tohoku such an excellent spot for skiing and snowboarding becomes covered in lush, picturesque greenery in the summer. Alongside its dense forestry and rolling meadows, there are vibrant fields of fragrant flowers and golden rice paddies that glisten in the sunlight. Whether you’re driving through the countryside, taking a hike in the wilderness, or enjoying a nice picnic while soaking in the sun, you’re guaranteed an unforgettable view. There’s no better way to beat the summer heat than spending some time ocean-side! Thanks to Tohoku’s expansive coastline, there are plenty of different areas to enjoy some fun in the sun – whether it’s lounging on a beach, enjoying water sports, or just splashing around to cool off. 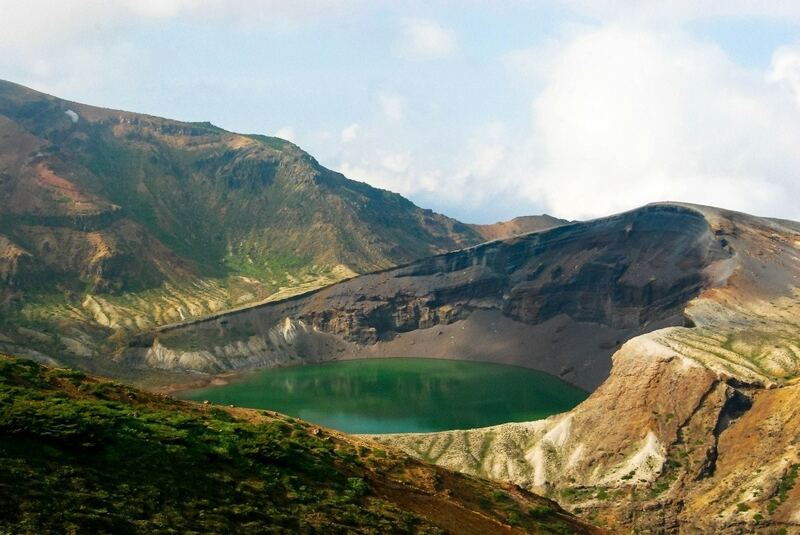 Tohoku also hosts a bevy of unique freshwater attractions, like the dreamlike colors found in its many volcanic ponds, or its abundance of ancient, rushing waterfalls. Plus, there’s no wrong season to visit an onsen! Directly informed both the flora and the water, the food culture in Tohoku is second to none! Each Prefecture has its unique specialties when it comes to preparation, but regardless of where you’re dining, you’re guaranteed a few things; juicy fruits and crisp veggies, tender, flavorful meats, and seafood so fresh you can taste it. The best way to enjoy such expertly prepared food is by complimenting it with award-winning sake from a brewery with hundreds of years of tradition, and in that regard, Tohoku’s cup runs over! Thanks to its crystal-clear waters and cultivation of the highest quality rice used for sake brewing, no matter what prefecture you’re drinking in, the quality is guaranteed. It’s no secret that summer is festival season, and celebrations across the country swing into high gear. But as home to some of the largest, most prolific festivals in Japan, Tohoku takes it a step further. There’s the Big 3, of course—Aomori’s Nebuta Festival, Akita’s Kanto Festival and Sendai’s Tanabata Festival in Miyagi—which see each respective city come to life like no other time of year, as visitors flock from around the country to experience these longstanding traditions firsthand. But there are plenty of other festivals that are no less alluring, and just as culturally relevant; the Morioka Sansa Odori Festival in Iwate, the Hanagasa Festival in Yamagata, the Soma-Nomaoi Festival in Fukushima (pictured above), and more. 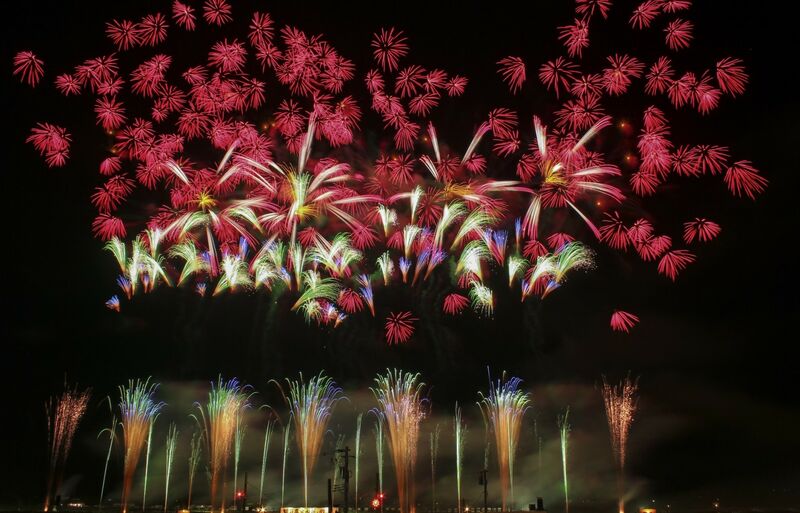 That’s not counting all the smaller, localized celebrations throughout the region, many of which are capped off with fireworks shows. Summer is truly the only time visitors can enjoy such a festive atmosphere. This final point ties together every point that came before, and is arguably the most important. The best reason to visit Tohoku in the summer is to get hands on with the area’s rich traditions and cultural heritage, and the authenticity with which the people of Tohoku share them with visitors. Whether you’re learning about time-honored crafts before trying your own hand at it, checking in to a luxurious Japanese inn, having a meal at family-owned restaurant, or anything in between, you’re sure to be greeted with enthusiasm, professionalism, and an undeniable warmth. The people of Tohoku burst with pride and passion when it comes to their hometown, and they’re a big part of why visiting is such an unforgettable experience. Want even more info on one of Japan's most magical regions? Visit our hub for all things Tohoku, and plan the perfect trip today!